There’s a cherry tree that grows in my parent’s backyard. Birds like the tree. I like the tree. 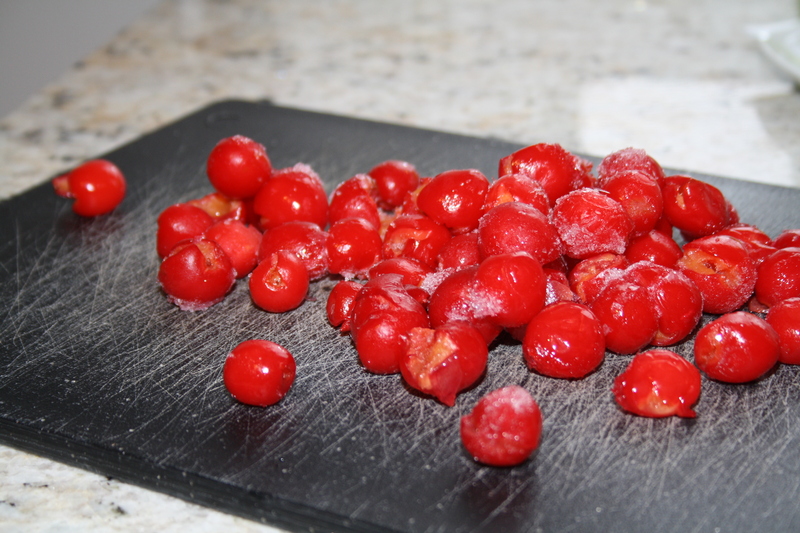 And late last summer, my Mum gifted me some beautiful, shockingly red cherries. I froze them, adding a bit to smoothies here and there, thinking of pies and tarts I could make. And then – then! – Sister and I came across this recipe in her new cookbook Flour, Too. See we’re cherry people (along with, obviously, muffin people). Cherries were like candy when Sister and I were little. There’s a home video of my third birthday, and my Mum made a cherry syrup/compote to go over the cake she baked. I swear I know exactly what it tastes like. Cherries run so deep in our veins, my “secret password” at school – you know, in case a stranger tried to convince me s(he) was taking me home as a favour to Mom – was: cherry. An integral part of my childhood. 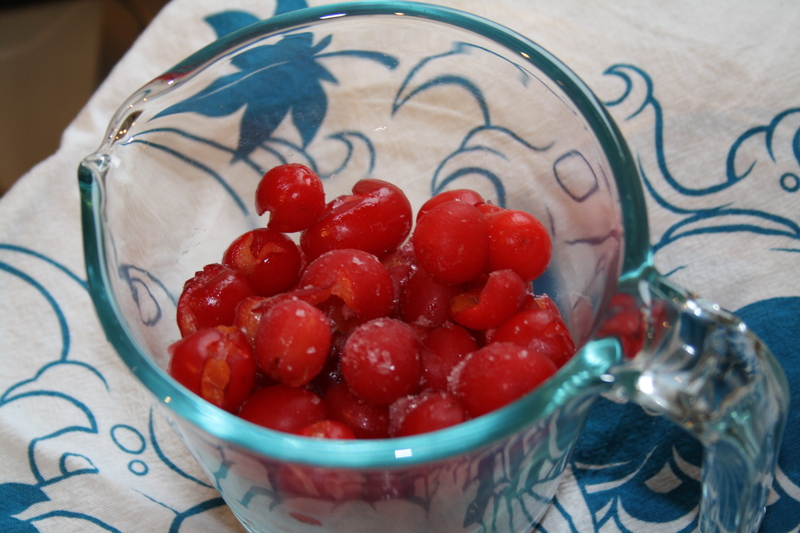 These cherries in particular are not just bright and beautiful. They are tart. They are sweet. 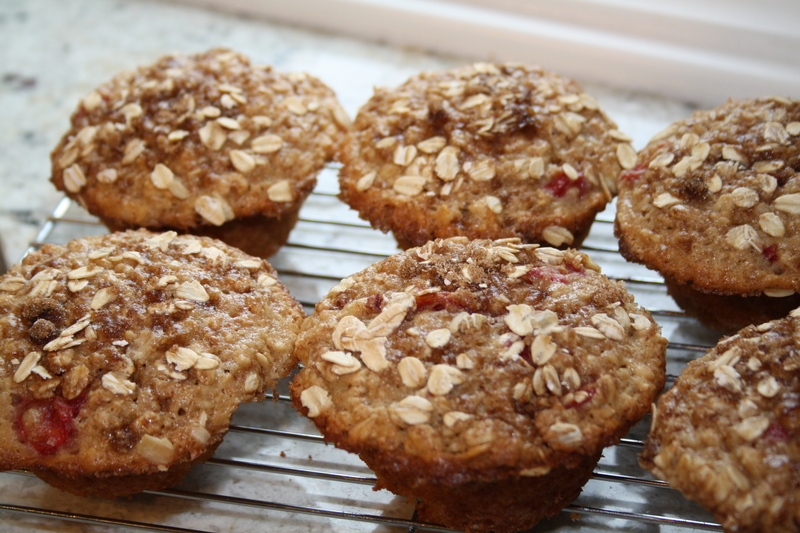 They are everything good about baking with cherries. Sweet cherries are wonderful, yes. They make great snacks. But for baking, I prefer these puppies. Pip included. These muffins are perfect for Sister and I because of their crisp-ness as well. I don’t mean they’re crispy, I mean they are crisp-esque. The crisp is a wonderful thing. It’s the kind of dessert that makes people happy, both the cook and the company. Throwing fruit in a dish and covering it with oats, sugar, and spices? Yes please. And these muffins deliver in that department. They taste so very close to the crisps I ate as a kid. 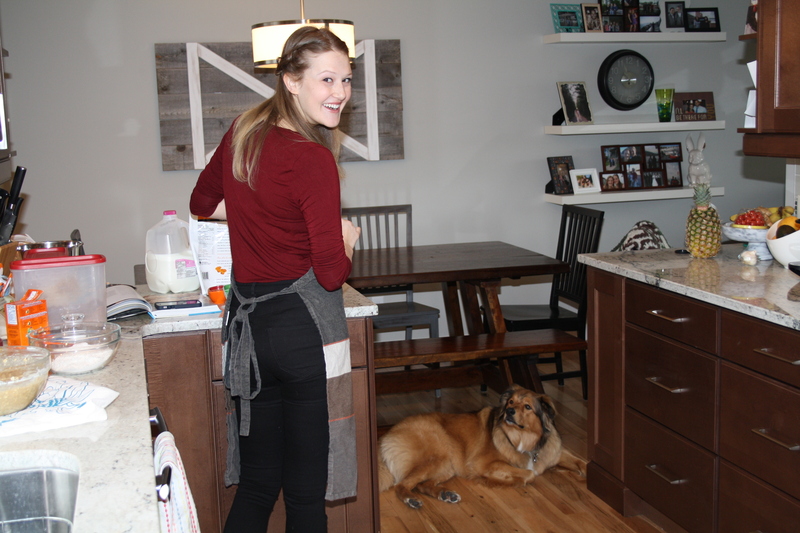 The question is: who is supervising who? I would very gladly serve these/be served these for a brunch. They’re super hardy, yet light and fluffy. Delicious nostalgia creeps in with each bite. I think cranberries would be a really nice substitution as well. Or even raspberries, if you dare. And while I haven’t been to the real Flour bakery (Sister assures me, it’s lovely), I feel like our version would fit in just fine. Stir together rolled oats, sour cream/yoghurt, milk, and butter in a medium bowl. 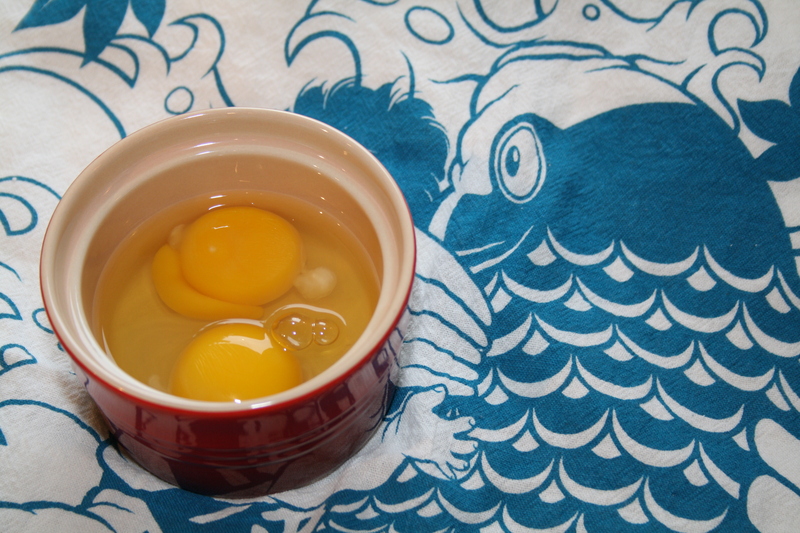 Add the eggs and mix together well. 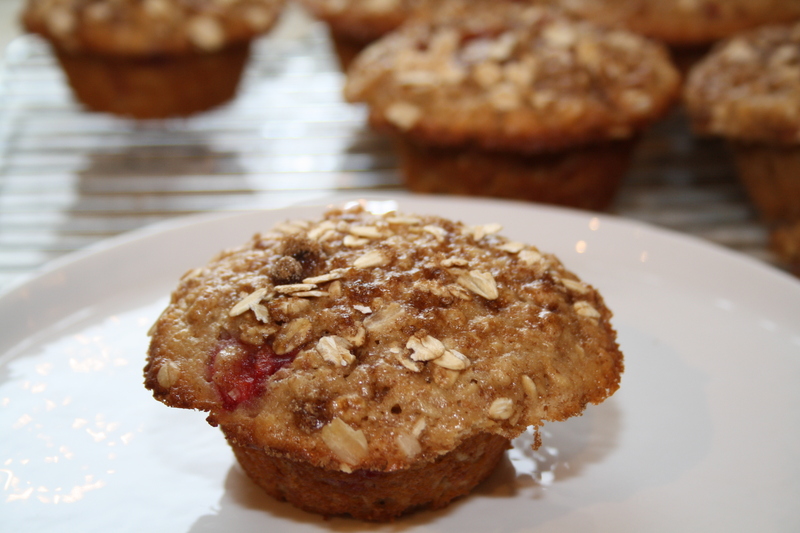 Combine the granulated sugar, brown sugar, and cherries with the oat mixture in the bowl. 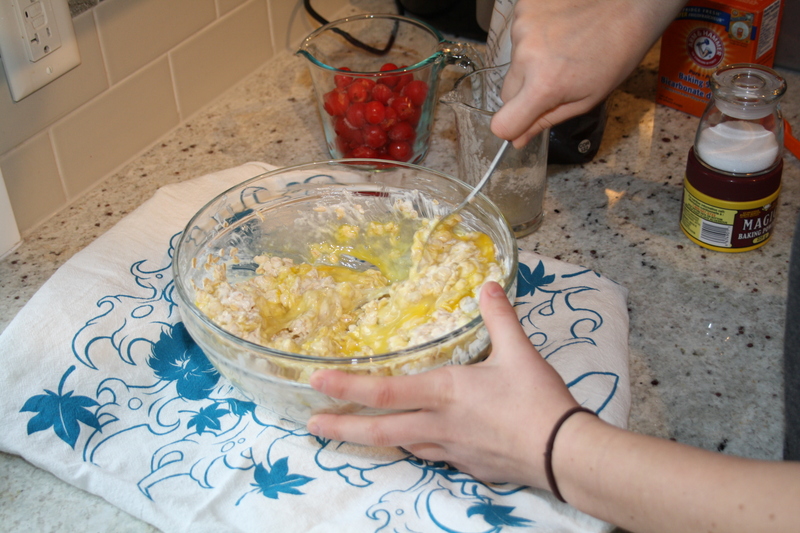 In a separate bowl, stir together the whole wheat flour, baking powder, baking soda, and salt. 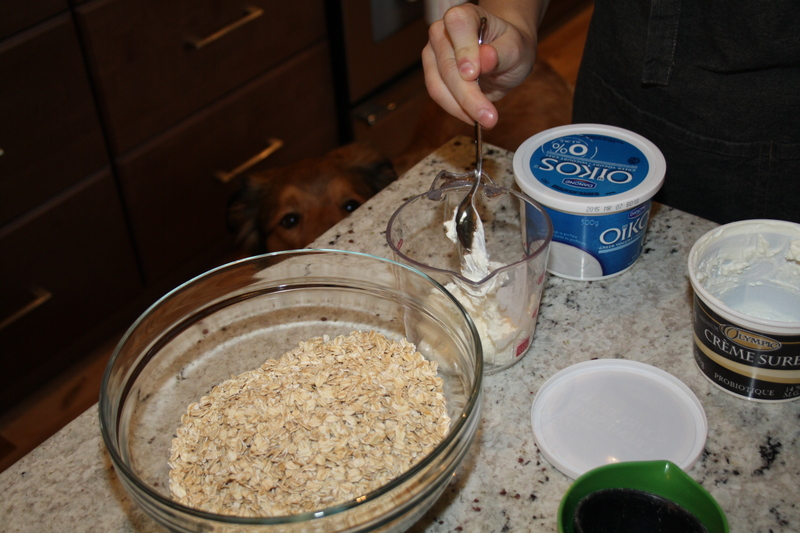 Fold and stir the dry ingredients into the wet oat ingredients. Spray your muffin tin with nonstick cooking spray, and spoon the batter into the tin. 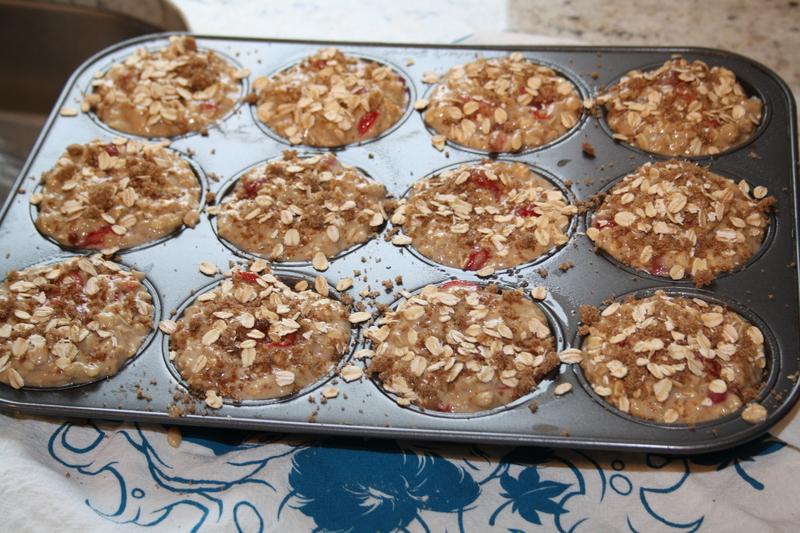 Make the topping by combining the oats, brown sugar, and cinnamon, and then sprinkling evenly oven the batter. Bake for about 35-40 minutes, until the top feels firm and stats to turn golden. Let cool. Devour.